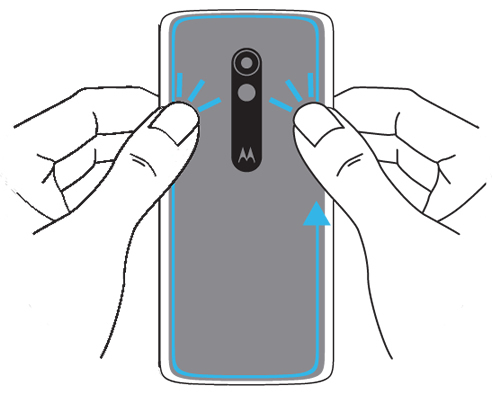 Ensure the device is rotated upside down and with the display facing away. Remove the back cover as shown. 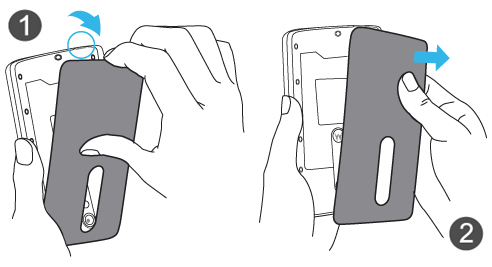 Utilizing the provided slot, carefully lift (figure 1) then detach the cover (figure 2). Align and set the cover in place. Press down along the edges of the cover to lock it into place.